Go From RENTING to OWNING in 90 days or less. 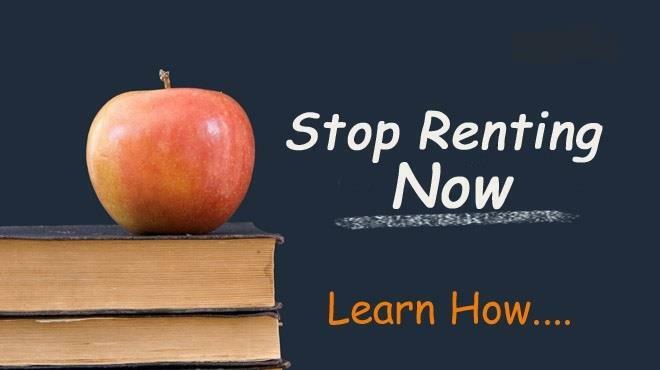 If you're currently renting your home or apartment you may feel trapped by the grip of Landlord Rules, Leases, and seemingly UNREASONABLE Expectations. You may also be tired of knowing that every month your payment of a large sum of money is doing nothing to secure your future; that in the current scenario the home you’re paying for will never be yours. It’s not UNCOMMON to feel as if though you're on a Renters TREADMILL in a closed loop with no end in sight. We at Home and Property understand your frustration, and want you to know that there is a way for you to step away from this situation, even if you may think that right now its not possible. With a bit of knowledge, with a workable plan, you can stop feeling trapped and take advantage of a LITTLE-KNOWN public program that can get you on a path to HOME OWNERSHIP. In fact, you may end up with a mortgage payment substantially LESS than the rent your paying now. Our FREE Special Report entitled "How To Stop Paying Rent and Own Your Own Home" has already helped several local renters get out from under their Tenancy Trap, and move into a wonderful home they can truly call their own. You can make this move too by discovering the important steps detailed in this FREE Special Report. Please bear in mind that it doesn't matter how long you've been renting, or how insurmountable your financial situation may seem. With the information in this report, and with our help, you can develop a reasonable and workable plan that will make it clear how you really can save for the down payment and stop wasting thousands of dollars on rent.